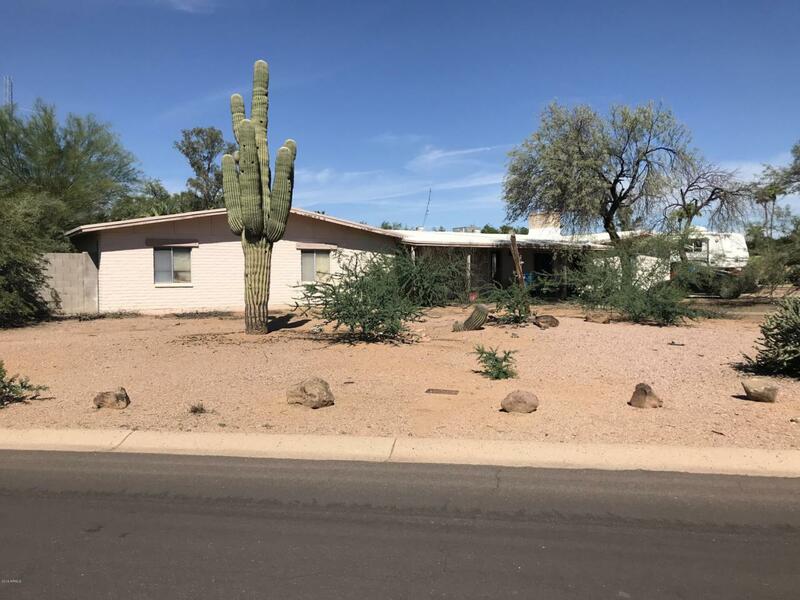 UNDER CONTRACT/BACKUP - This property is located in a very desirable neighborhood in Scottsdale. Corner lot allows for additional square footage on the main home and plenty of room for a nice guest home with private access through side gate. No HOA! New build properties are being completed all around this area. Ideal for an investor or a family who's looking to create their dream home!